Thanks everyone, I'll take the brightness of the skulls into consideration - a quick enamel wash of some Kursk Soil may do the trick for toning them down a bit and adding some dust at the same time. This was a first pass at adding some extra depth to the tiles, and I appreciate the feedback. We feel your pain painting that many skulls! We prefer a more yellow earthy look to our skulls and bones and tend not to highlight as they should be grimey, but a highlight would make them pop more. 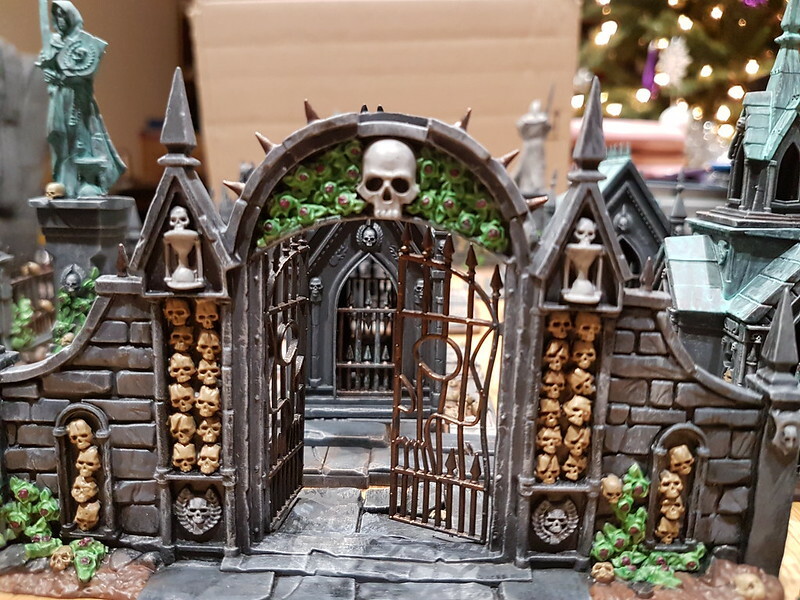 Anyone done something like this on other prepainted DF? I always think of Biowizard when I look at my RotA sets. Those are awesome, i shudder to think of the time involved though. Great idea and execution! On my "someday" list. Looks great. I like the white skulls, though they might stick out too much for some people. I like the dirt, but I think the skulls are a little bright for being lodged in brown dirt. They make my eyes focus on them now that they are such a stark contrast. Awesome work, though.